Have you had “the conversation” about your end-of-life wishes with your family, friends and health care professionals? If you haven’t because you find death and dying difficult to talk about, you’re not alone. A lot of people feel uncomfortable, awkward or embarrassed. Unfortunately, this means that the subject often goes undiscussed – and when people lose the ability to communicate, it’s too late to make their preferences known. A new mobile app is making “the conversation” easier for Canadians. My Own Voice, an interactive app for iOS and Android devices, helps people consider, record and communicate their end-of-life wishes, including their preferences regarding life-prolonging treatments, resuscitation and funeral arrangements. My Own Voice asks nine questions. For each answer, users record a video of themselves using the camera on their smartphone or tablet. You can delete and record answers as many times as you like. You can skip questions and return to them later. When you’re finished, the app combines your answers into one video, which you can share confidentially with your loved ones, caregivers and health care professionals. (They receive a unique website address and a password. No one else can view your video, not even the app company.) If you ever want to change an answer, simply record a new video. My Own Voice is the creation of a small, Vancouver-based startup company of the same name. 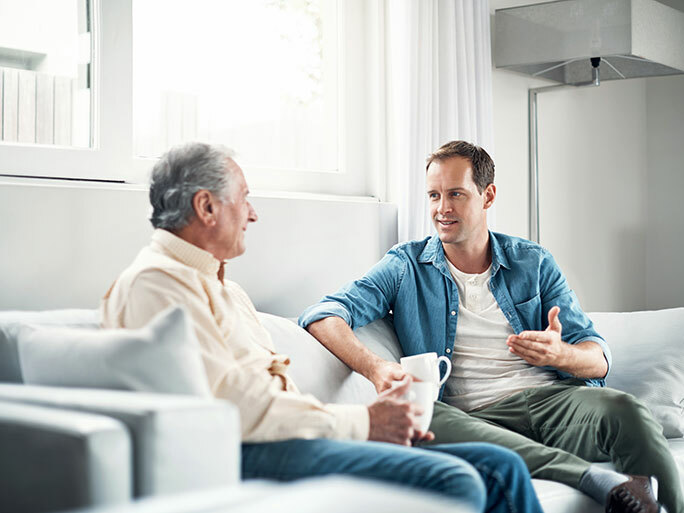 Its goal is to give people a voice in their own care, as well as the reassurance that if something prevents them from communicating – for example, a coma, dementia or disability – their wishes have been recorded and family members will understand how they want to be cared for. The video is accessible anytime to people who have been invited to view it. As you make decisions about your preferences for senior and end-of-life care, keep in mind that home care services – such as nursing, personal care, light housekeeping and companionship – often help people live independently for longer. Bayshore HealthCare provides home care services, as well as palliative care, in private homes and in the community. Contact Bayshore today for a no-obligation consultation.